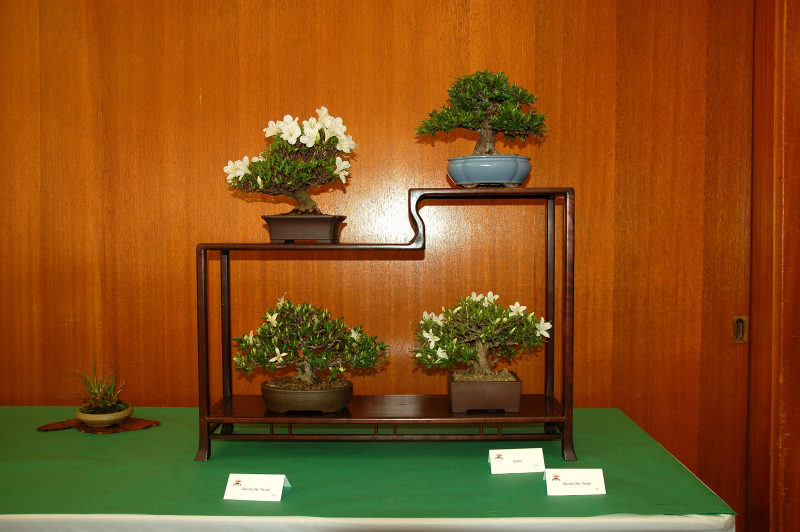 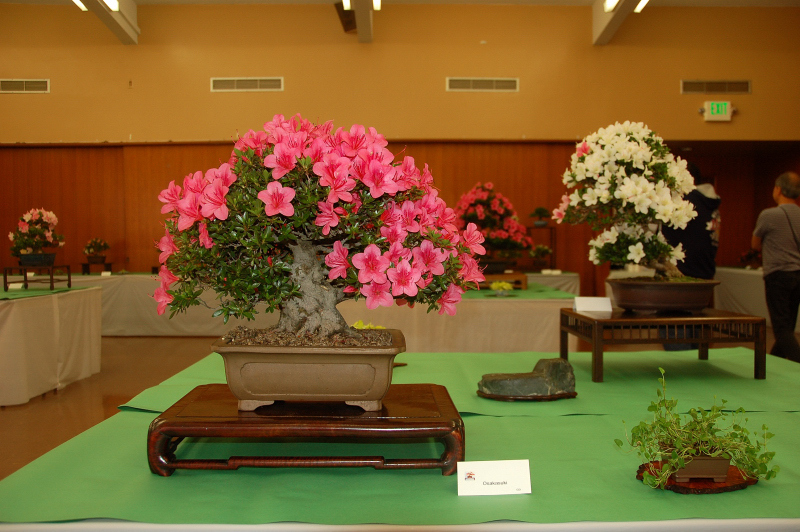 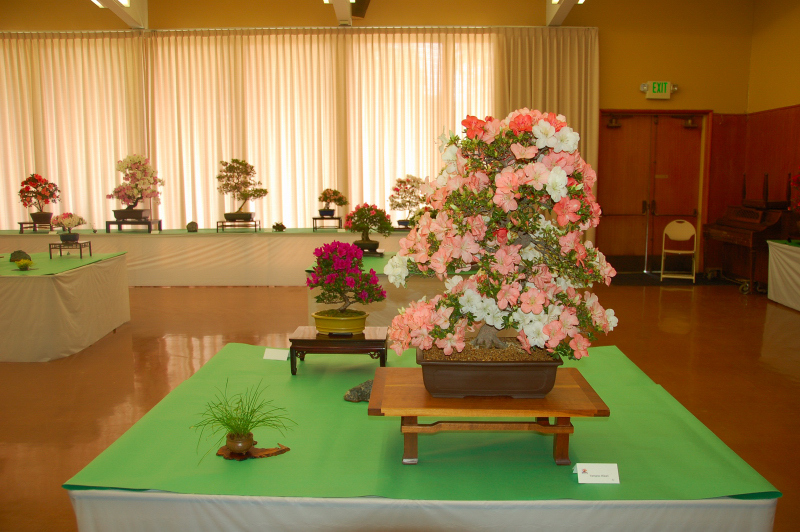 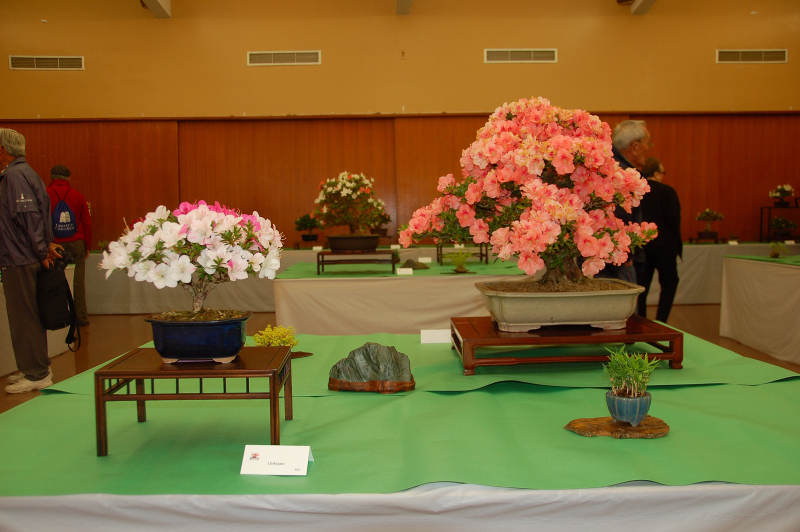 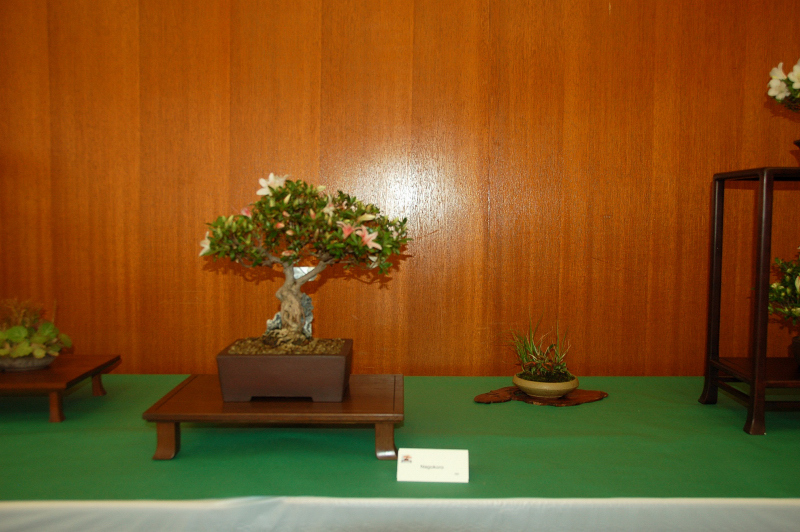 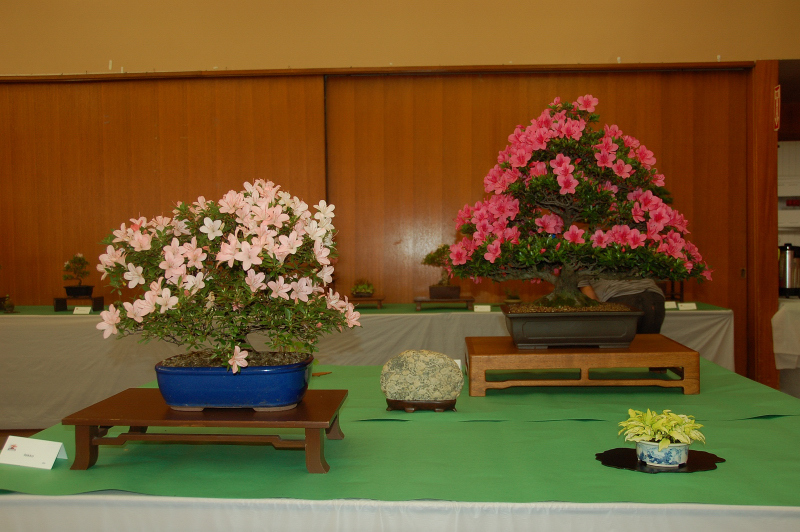 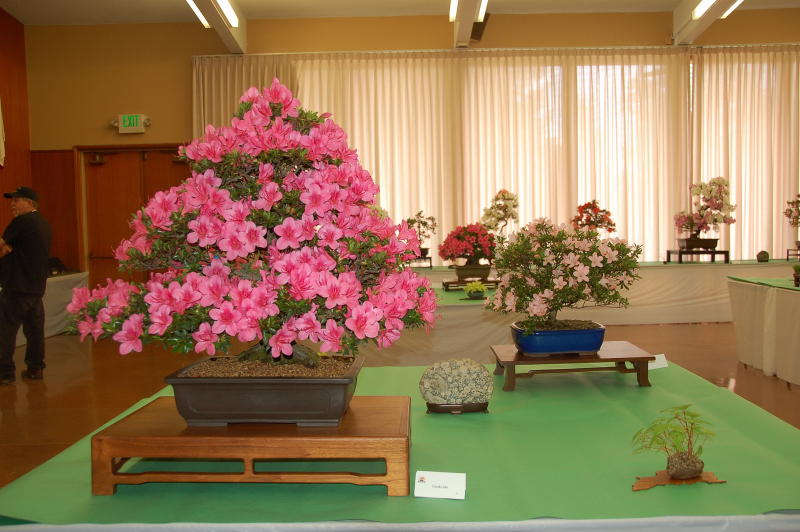 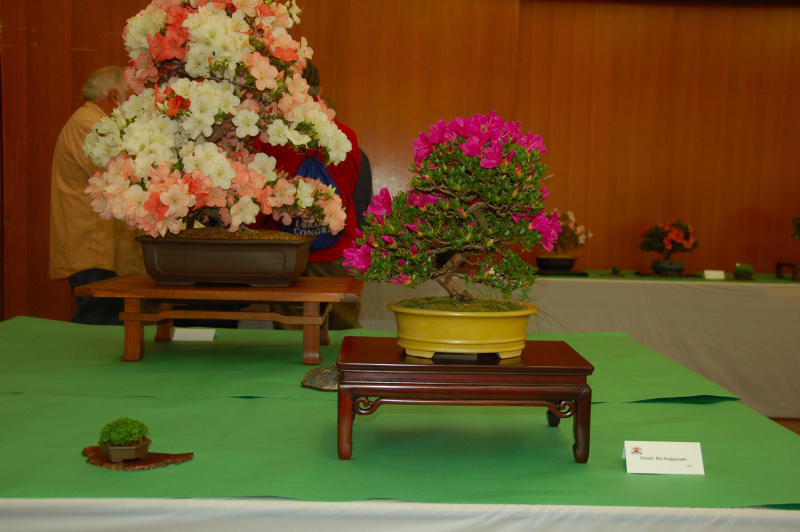 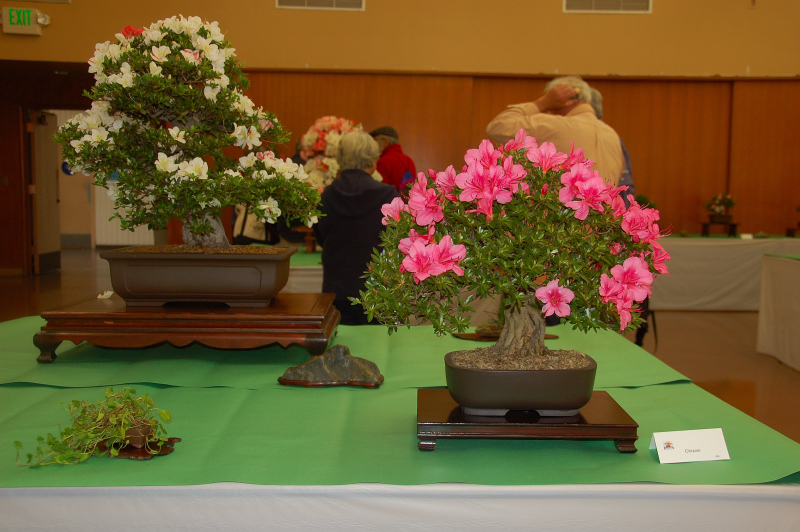 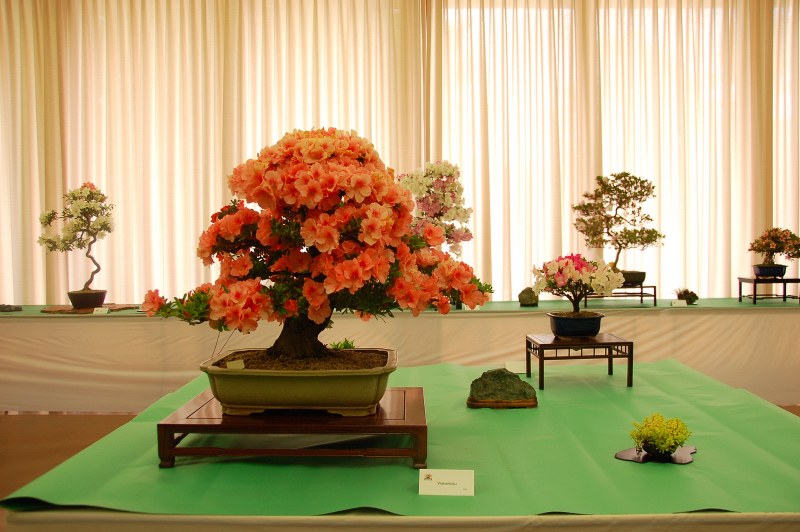 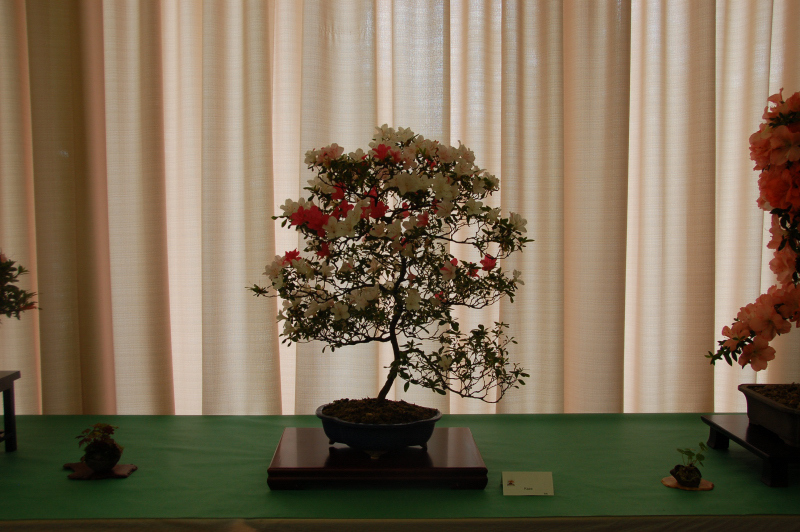 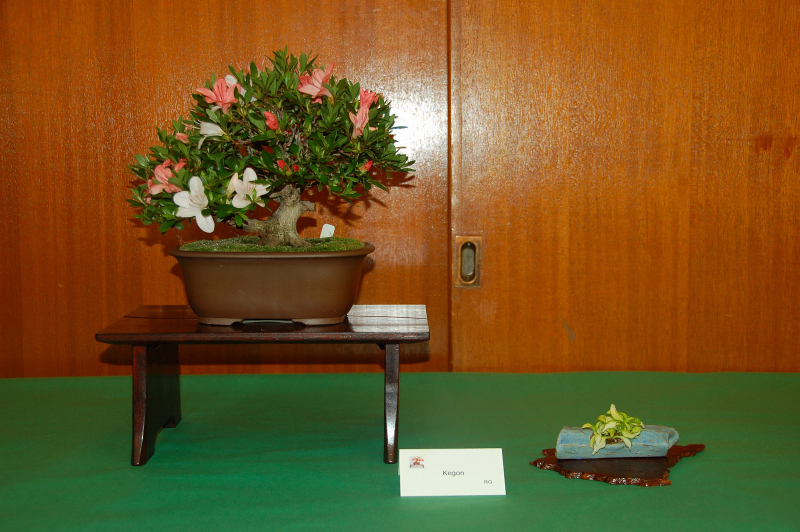 This group, Bay Area Satsuki Aikokai, started as a study group of the East Bay Bonsai Society 20 years ago. 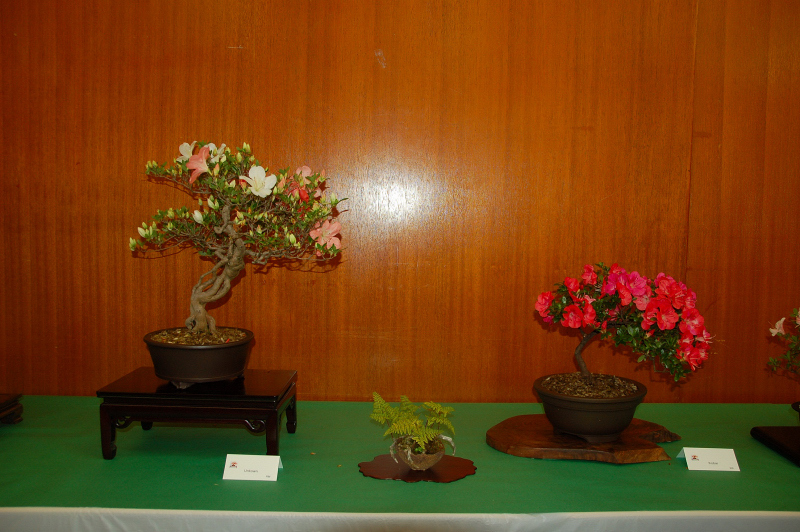 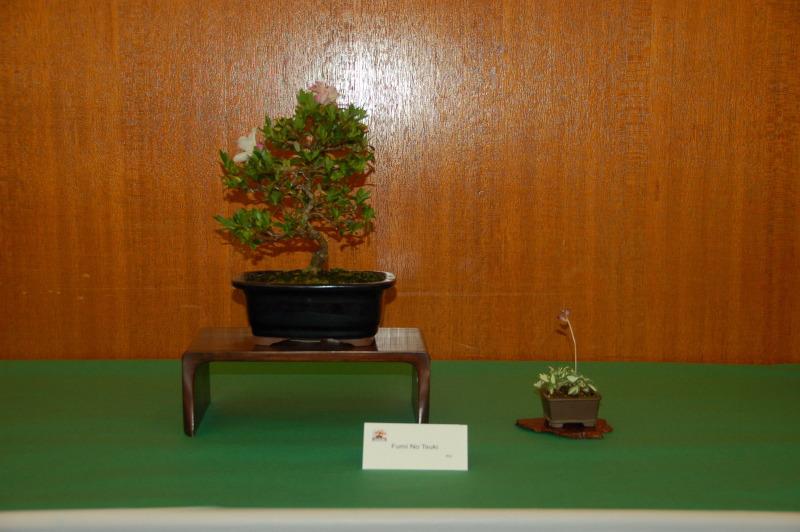 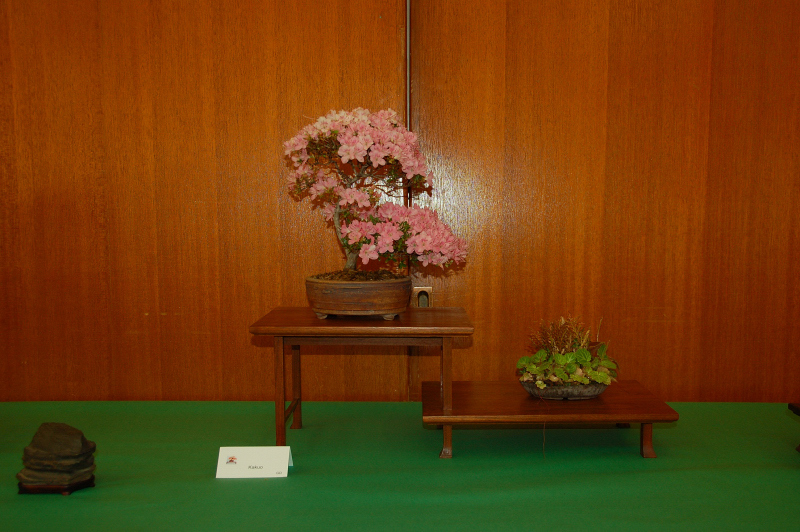 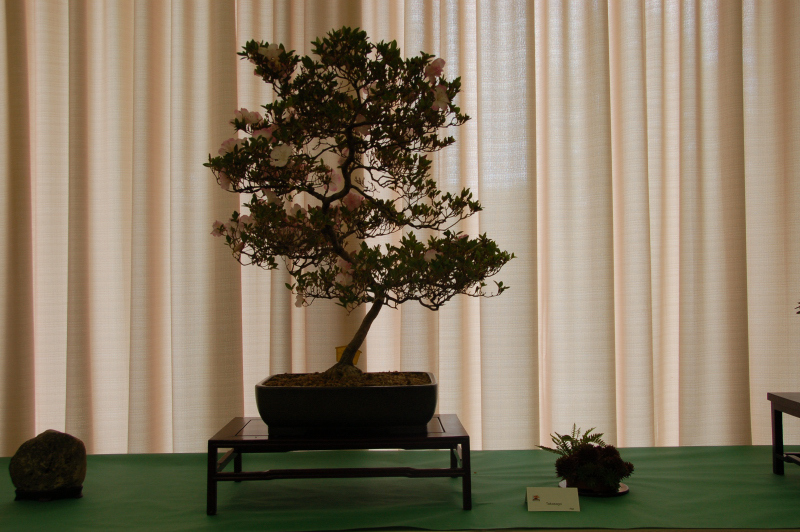 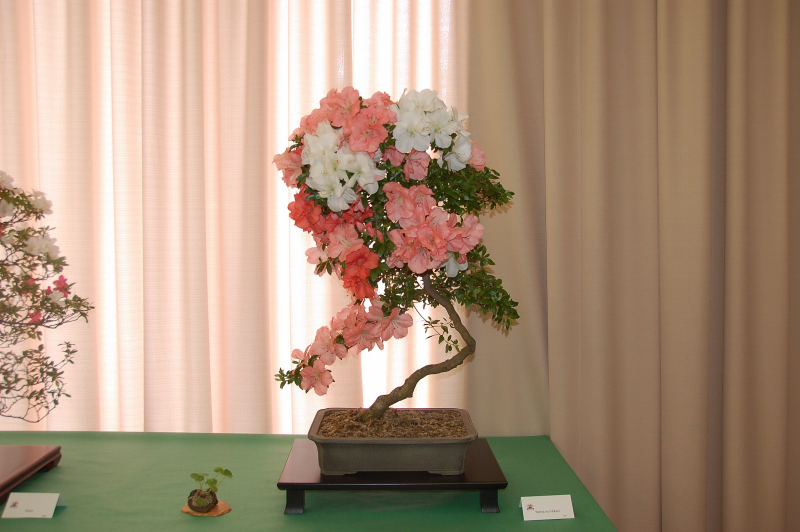 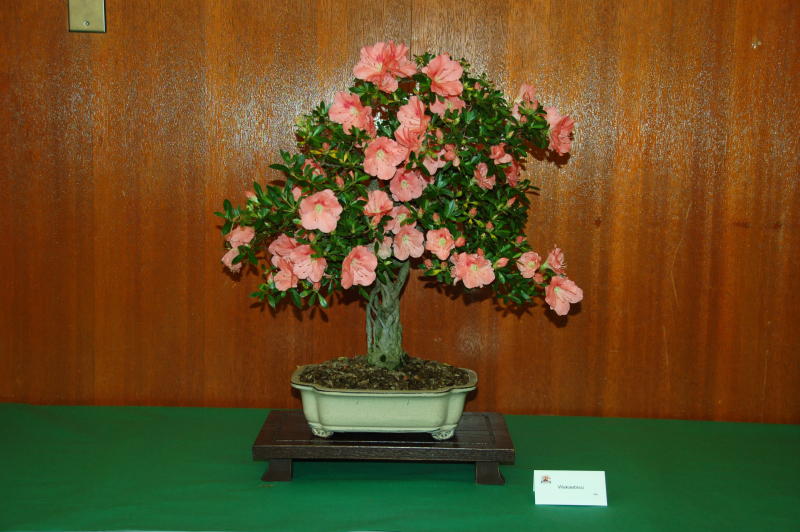 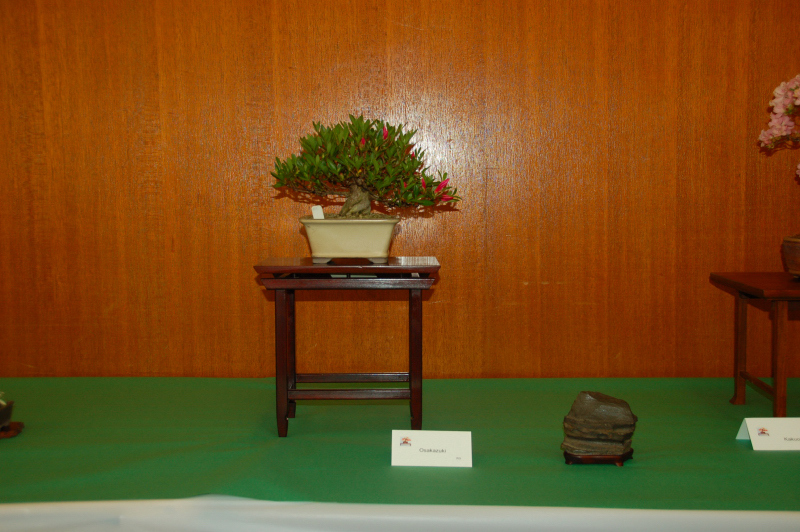 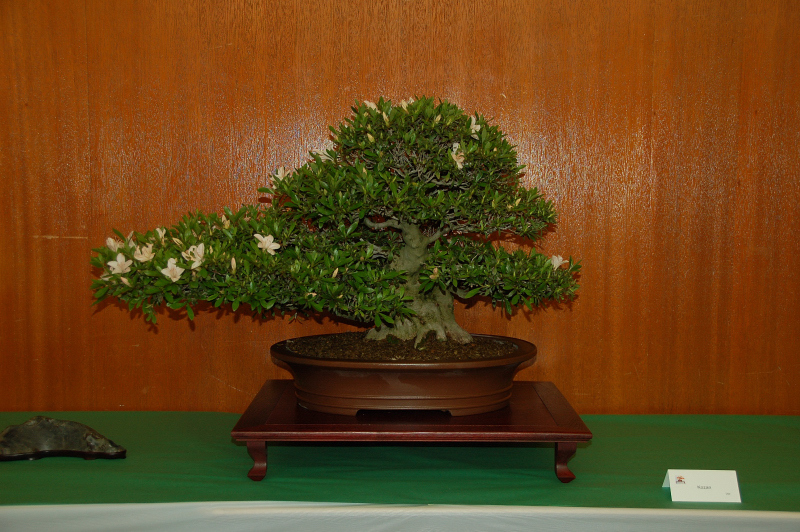 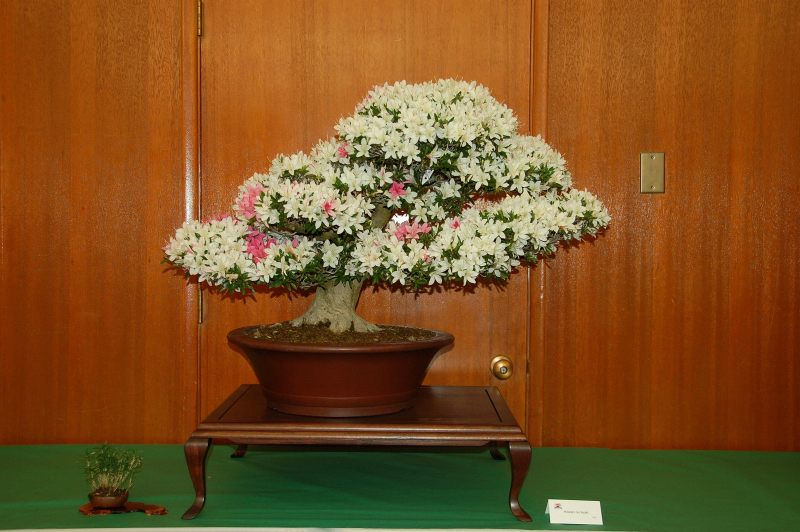 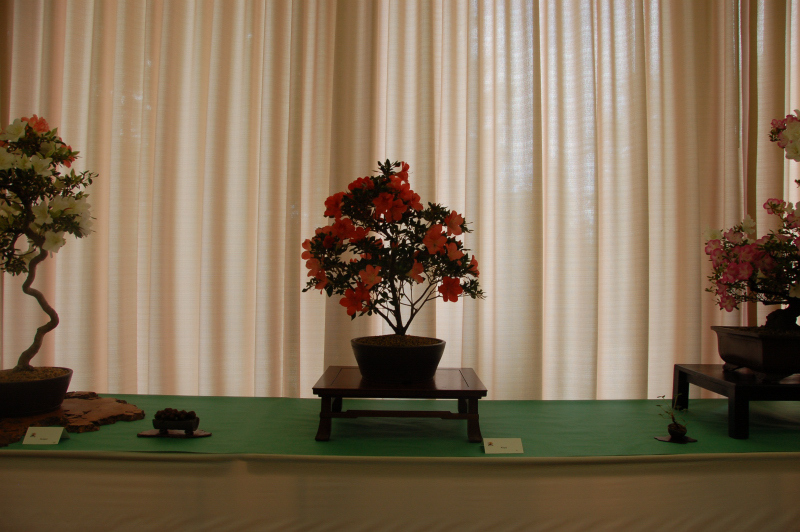 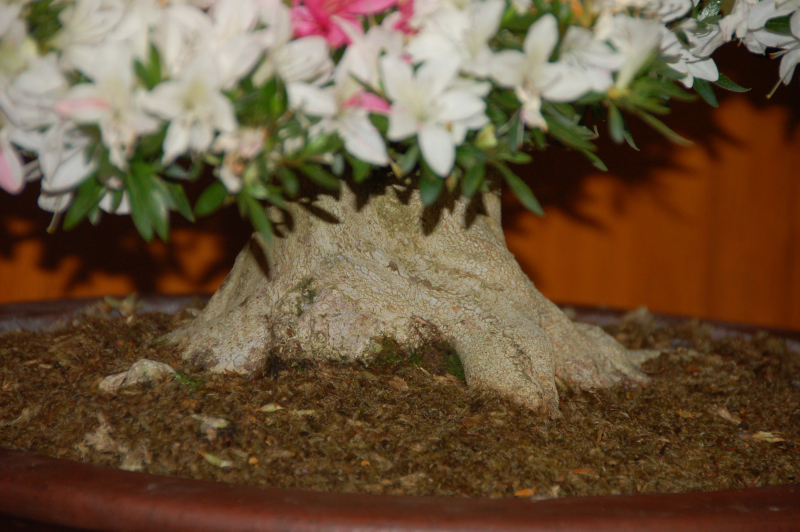 I had the pleasure of attending the exhibit of fine Satsuki Bonsai. 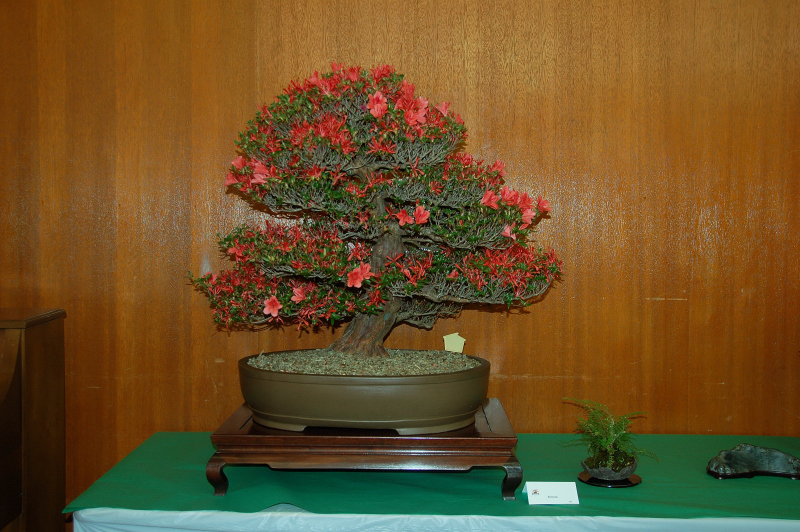 Just beautiful Al. 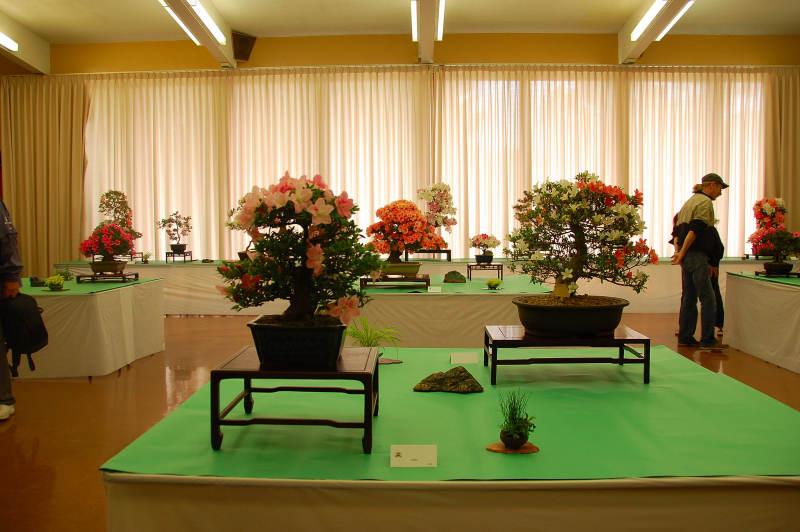 I am surprised to see the large majority of them in unglazed pots. 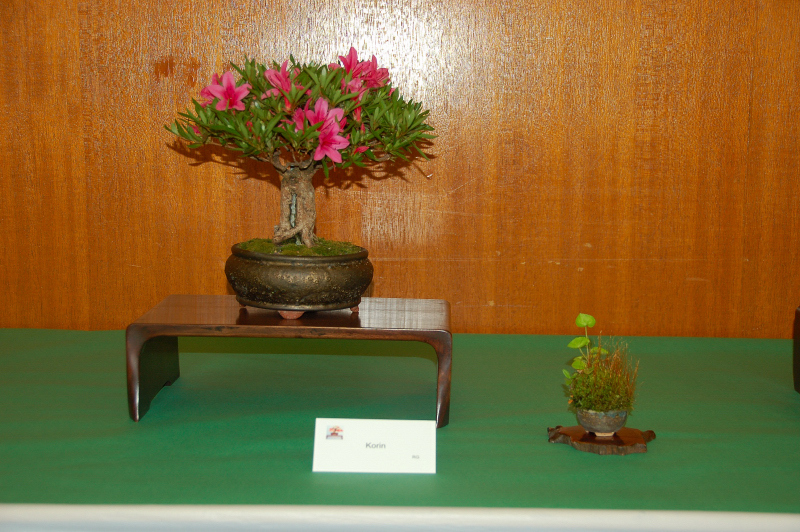 I would’ve thought that of all trees, you could go with some amazing glazed pots. 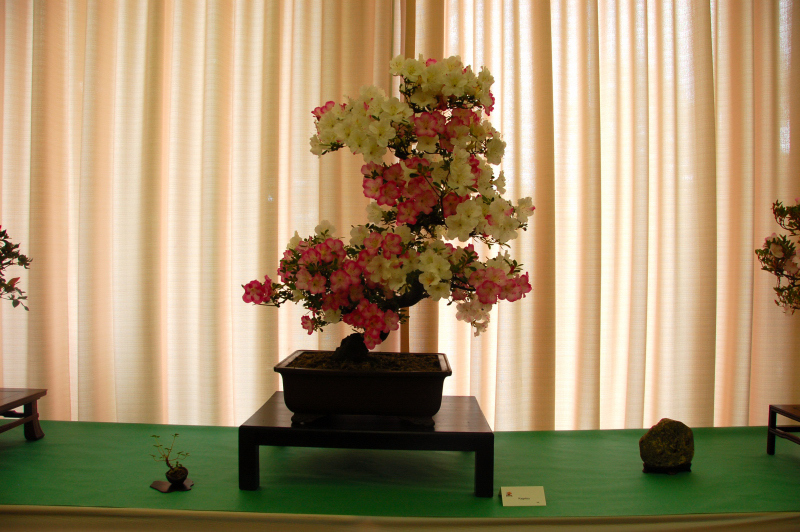 Shows you that I know nothing of Satsuki, but they are wonderful to look at. 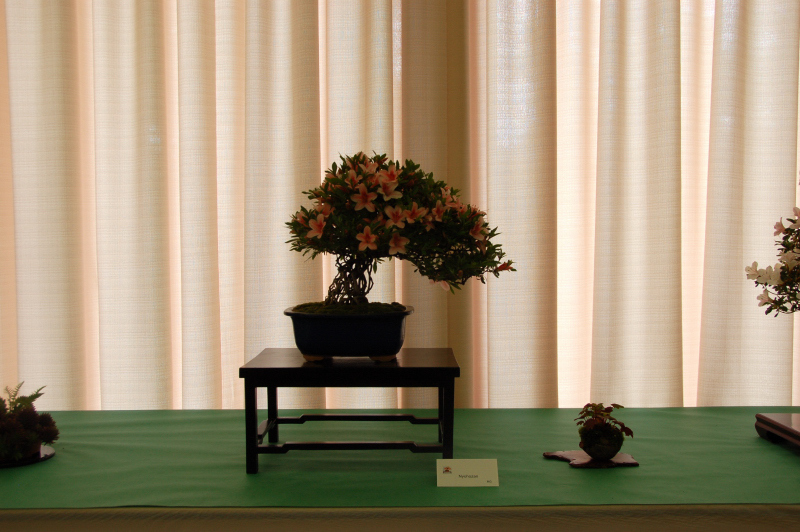 There is a huge shortage of good glazed pots in the medium to large size in America. 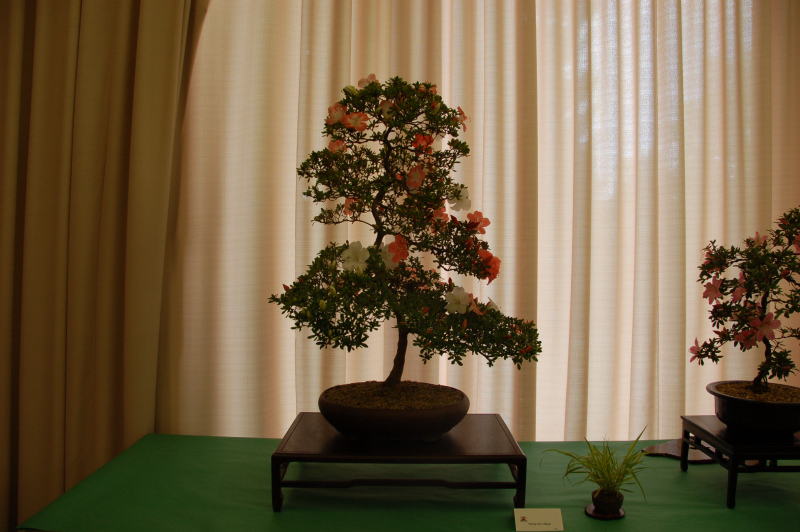 Don’t get me wrong I love some of the round pots, but American potters do such a disservice to the bonsai community by falling back on the wheel so much. 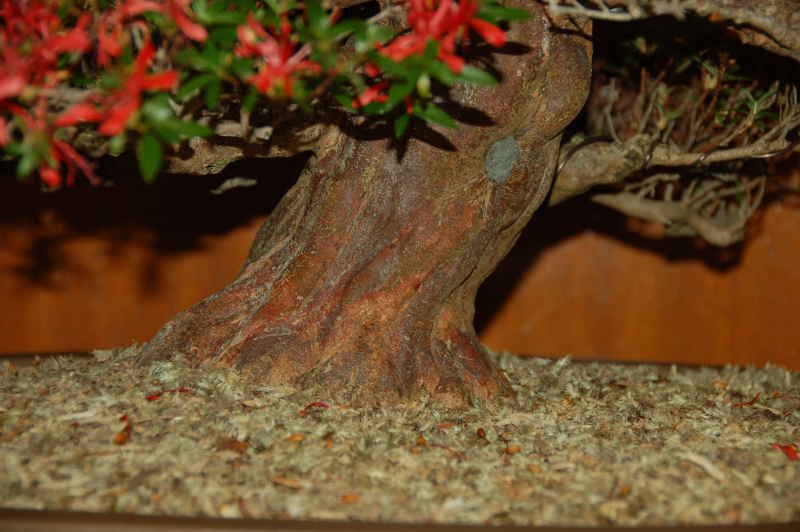 There are not many good slab builders here making high quality glazed pots. 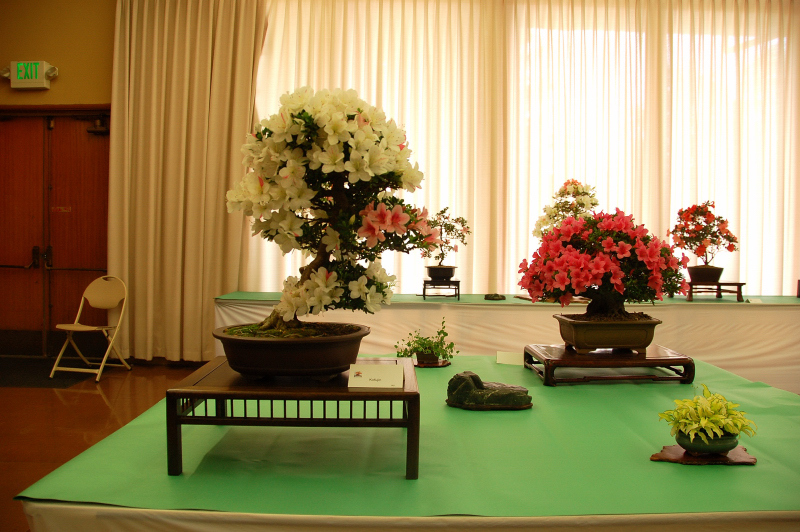 The other thing is that if the pots get to showey then it takes away from the flowers. 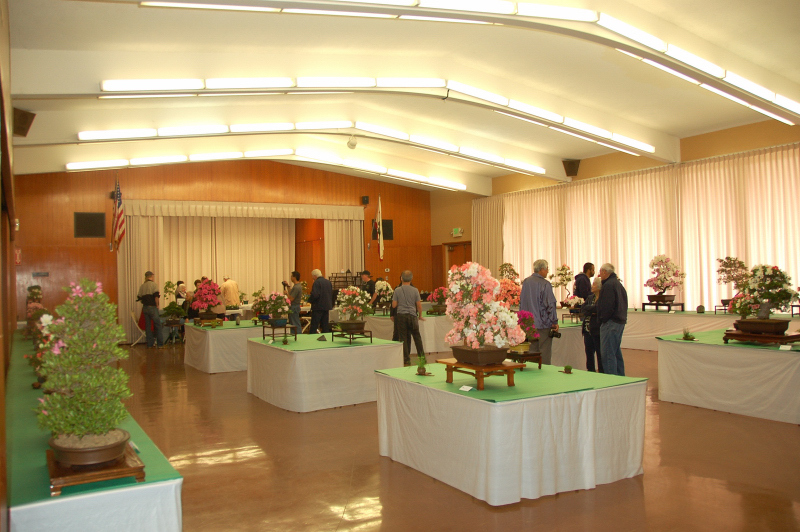 I agree that more great pottery is needed in America, but if you look, there are places to find. 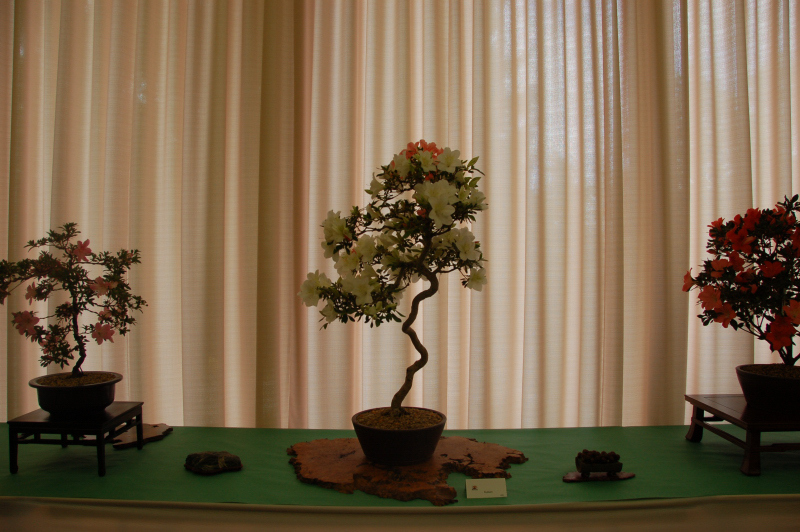 Maybe not American made though. 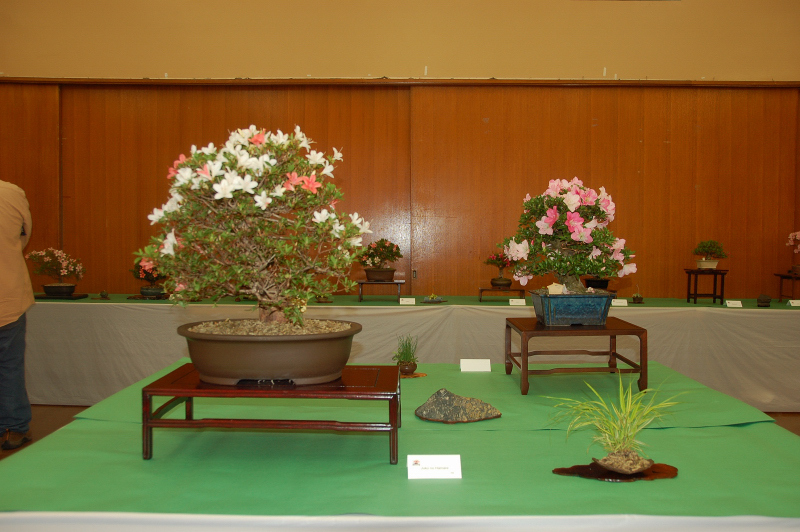 Matt Owinga has certainly got a large selection of larger pots, and since he is here, shipping is reasonable. 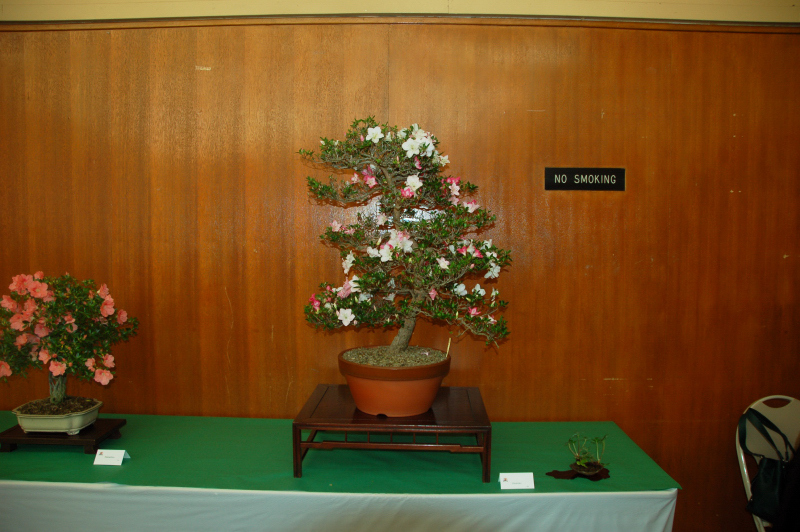 I also see your point about distracting from the flowers, but to my eye the unglazed is distracting in some cases as it’s such an uncomfortable contrast.